Church planting is not just about gathering new communities of people who are already Christians. In the book of Acts, church plants begin with sharing the gospel. Planting churches flows naturally out of making disciples. Pastor J. D. Payne explains the process and stages of church planting, with biblical foundations and practical steps for planting teams. He provides a pathway for the multiplication of disciples, leaders and churches. Here are church planting strategies and activities that are simple, highly reproducible and can be implemented by ordinary team members, not just by charismatic leaders. This guide can be used for planting in contexts among any given people group, domestically or internationally. It is an ideal resource for teams to work through together as they follow God's call in their community. There is a unique and special power and testimony in not just a vibrant local church full of life, but an old historic one that had lost its way, was on life support, and into which God saw fit to breathe life once again. Biblical Church Revitalization calls us to an intentional commitment to church revitalization in the face of dying and divided churches. The bonsai pot may be the most identifiable accessory for growing bonsai trees. The pots come in numerous shapes and sizes. Some are very shallow, designed for planting a bonsai forest (several trees grouped together). Others are tall and somewhat narrow, used primarily for trees that cascade downward. Many look simply like miniature versions of more familiar flower pots. Most are ornate ceramic pots with Oriental-looking scenes and beautiful glazes. All of them are expensive when you consider their relative size. You might think that you wouldn't have to pay so dearly for such a small hunk of clay. After only a cursory reading of my collection of bonsai books, I discovered that fitting the right pot to the right tree was an integral part of growing bonsai. The bonsai grower must take into account factors such as the size, shape, and color of the tree when making this crucial decision. In my case I added a fourth criterion price. Once the pot and the plant have been chosen, you're ready to go to work. The small tree must be placed in just the right position in the pot for the proper aesthetic beauty. Once this task has been completed you have embarked on your bonsai journey. Yet the pot is much more than a simple decorative holder for a little tree. The pot in many ways helps to determine the size of the tree. The beautiful glazed dish must hold the dirt and roots that will support the tree's healthy growth. One of the secrets to the small size of the bonsai is the limited space for root growth. This discovery about little trees applies to churches as well. The size of the container in which a congregation is planted will in many ways determine the size it will grow to in maturity. We have seen this principle at work in the plants inside our home. Let's say, for example, that you purchase a small decorative fig tree from the local nursery. It comes to you in a one gallon container. You place your prized possession by an appropriate window and water it on a regular schedule and watch as it grows naturally for a year or so. We are surprised to see that it will grow with the virtual "benign neglect" that many of our plants receive. 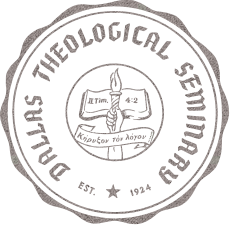 After about a year, you notice that the color of the leaves appears to be less vibrant and that some are actually falling from the tree. You continue to water your prized possession and even add a bit of fertilizer, but to no avail. What's the problem? It has become root-bound. The root structure has outgrown the one gallon container. The tree must be dug up, the roots untangled, and the tree repotted in a more spacious container if growth is to continue. If the container can impede the growth of a perfectly healthy house plant, then the "church pot" can inhibit natural growth, even in a healthy church. Bonsai pots come in different shapes and sizes, but all are designed to keep the root structure of the plant small. In like manner, there are different "pots" your church must think about to promote healthy growth." 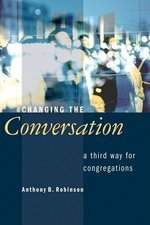 A sequel to his best-selling Transforming Congregational Culture (2003), Changing the Conversationoffers Anthony Robinson's latest work and thinking on congregational renewal and leadership. Robinson here invites church leaders and members into ten crucial conversations that will change their congregation's culture and help them respond with greater vitality, effectiveness, and faithfulness to our postmodern culture and its challenges. 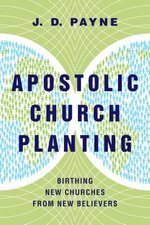 Much of what is written about church planting aims at methodology and strategy for facing such challenges, but specific strategies do not apply to every context. What lies deeper, at the heart ofevery church plant? The most critical human component of every church plant is the planter. Darrin Patrick, vice president of the Acts 29 Church Planting Network, looks at what Scripture teaches about this man's character, his teaching, and the aim of his church. Offering guidance and wisdom from years of experience, Patrick reminds us that ultimately no church will succeed apart from a man with a message who leads a church on a mission. This book is for every Christian leader. Church Planter is an essential resource for those considering planting a church or already in such a plant, and maybe even more important for those leading an established church. 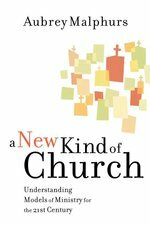 It has wide-ranging application for elders and leadership teams seeking to better understand how the gospel must take root in their church. 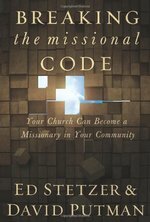 Avoiding an over-emphasis on particular models or methods, Patrick lays out biblical principles and sound wisdom as he urges the church to return to biblical criteria for determining the man, the message, and the mission God uses to build his church. For the many Christians eager to prove we can be both holy and cool, cultural pressures are too much. We either compartmentalize our faith or drift from it altogether--into a world that's so alluring. It's like Jesus said long ago, "If the salt loses its saltiness, it is no longer good for anything..."
This comprehensive introduction to church planting shows the reader how to apply effective, international church planting practices to specific contexts. J. D. speaks from personal experience, research and training and focuses on crucial issues every planter should consider. His well researched and easy to understand concepts are crucial for anyone who takes seriously the call of Scripture to Declare His glory among the nations and His marvelous deeds to all peoples. Effective Church Growth Strategies outlines the biblical foundations necessary for raising healthy churches. Dr. Joseph Wall and Dr. Gene Getz examine the groundwork essential for church growth, qualities of biblically healthy churches, methods for planting a new church, and steps for numerical and spiritual growth. The authors' study of Scripture, history, and culture will spark a new vision for today's church leaders.